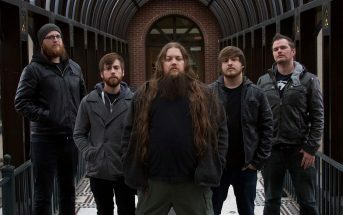 Rise of the Eidolon (music video) by Society’s Plague, a melodic metal band from Lexington, KY (USA). Rise of the Eidolon is the third single from the band’s full-length album Call to the Void which was released worldwide on April 27th, 2018. The album features Björn “Speed” Strid of Soilwork on guest vocals for the song “Distant Waves”, and it was recorded at Subterranean Studios in Lexington, KY (USA). Buy the full album on CD, iTunes, Amazon, or Google Play, and stream it via Spotify, Apple Music, Deezer, Pandora, iHeartRadio, and more! Turn on CC for lyrics: Under cover of night Their hands will reach out To threaten the things We are sworn to imbue And the voices will raise Sounding the reign of the lifeless Damned from the grave And the ground Will shake with boots of the righteous Here to protect the Innocent We will not let this land be forsaken May the gods have mercy On the ones we stand against When the night Comes take us We will fight When the dead Start to rise We will put them back down No longer victim to the fear When the light Starts to fade We’ll rise With a thunderous crash Metal on metal As demons collapse And fire takes hold Of their rotting flesh Lighting the way For the bravest of us all When the night Comes take us We will fight When the dead Start to rise We will put them back down No longer victim to the fear When the light Starts to fade We’ll rise Now, in the wake of all we’ve lost Will we find ourselves In the presence of champions And victorious. 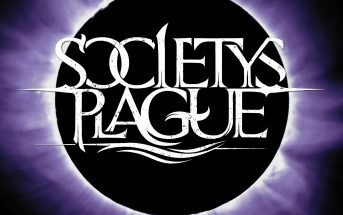 © 2018 Eclipse Records / Society’s Plague. All rights reserved.